The $9 Sign Language Collection includes every sign language printable from this site — that's nearly 150 sign language printables. The collection contain PDF files, so after you download it, all you need is a PDF viewer to open and print. This sign language printable is easy to download and print. 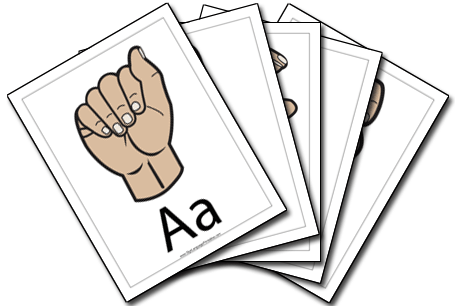 Each sign language printable is available in Acrobat (PDF) format: just download one, open it in Acrobat (or another program that can display the PDF file format) and print.